The multicultural statement of the Turnbull government in Australia that focuses on integrating immigrants and ethnic groups in the nation on the foundation of social unity and national identity has been supported by the diverse immigrant and ethnic groups. The statement titled ‘Multicultural Australia- Successful, Strong, and United’ was supported by the Migration Council Australia. 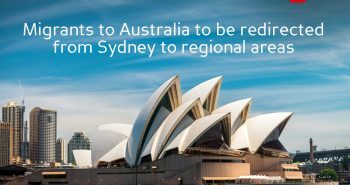 This is an approval of the social and economic significance of immigrants in contributing to Australia, said the council. Carla Wilshire, the Chief Executive of Migration Council Australia said that the statement is a commemoration of the consecutive multicultural regimes that have resulted in flourishing, safe and united Australia. 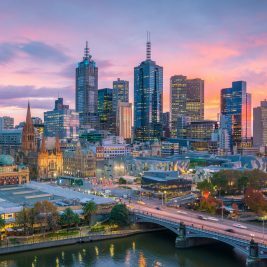 It is also commendable that the need for successive governments to support immigrants in becoming self-sufficient and dynamic members of the Australian society has been affirmed by the statement of the government, said Carla Wilshire. Malcolm Turnbull had made a statement in Australian Parliament that stressed the need to assimilate immigrants along with unity and citizenship as fundamental principles. This was the first statement by the federal government to highlight the influence of terrorists on the Australian society and recognized freedom of an individual inclusive of freedom of speech as one among the fundamental values of Australia. The statement has also been welcomed by the Settlement Council of Australia. The statement also called for modifications to the way in which multiculturalism is defined to include immigrants, white Australians, indigenous Australians and ethnic minorities. The Chairperson of the Settlement Council of Australia Dewani Bakkum has said that the statement is very appropriate and timely on the occasion of the celebration of Harmony Day and recognises the contribution of diverse cultures and immigrants to the Australia society. The commitment of Australia as a nation to welcome diverse immigrants and the unilateral support of politicians across party lines in Australia in keeping up a harmonious, inclusive and welcoming society was praiseworthy, said Dewani Bakkum. The Chairman of the Federation of Ethnic Communities Councils Joe Caputo has said that the statement on multiculturalism is recognition of the efforts to keep up and consolidate the society in Australia as a multicultural, harmonious, prosperous and inclusive one. He also demanded that the government comes up with concrete initiatives as well as a national language policy to strengthen the multicultural fabric of Australian society. 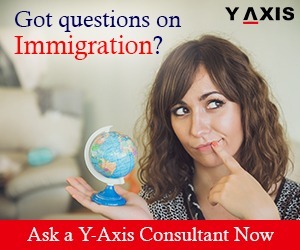 If you are looking to Migrate, Study, Visit, Invest or Work in Australia, contact Y-Axis, the world’s most trusted Registered Migration Agent Melbourne.